In my earlier post, How Big Data will Change Marketing (part 1), I offered a definition of Big Data. Here is a brilliant example of what it looks like. Malte Spitz is a member of the Bundestag, the German parliament. He sued mobile operator T-Mobile to get their records of his cell phone activity for a six month period in 2009. It came in an Excel spreadsheet with 35,851 rows. Zeit Online, the digital imprint of Germany’s top-selling weekly newspaper, Die Zeit, combined this data with other information about Hr. Spitz’s life which they gleaned from social media and publicly available online sources. “Each of the 35.831 rows of the spreadsheet represents an instance when Spitz’s mobile phone transferred information over a half-year period. Seen individually, the pieces of data are mostly inconsequential and harmless. But taken together, they provide what investigators call a profile – a clear picture of a person’s habits and preferences, and indeed, of his or her life. 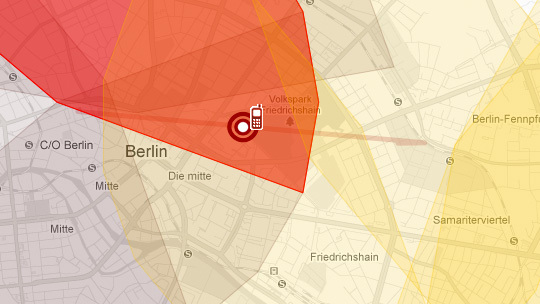 To model what they mean, Zeit Online produced this interactive map. This is Big Data in practice. I will leave it to other commentators to discuss the political, legal and ethical issues raised by Big Data. I am going to assume, instead, that it is here to stay and that it will increasingly affect our lives. In my next post, I will develop further some ideas about how Big Data will affect Marketing. Tip of hat to Roland Harwood of 100% Open for the original Die Zeit article.